This is an exciting moment! Your baby has been discharge from the newborn intensive care unit (also called, NICU) and is ready to go home. Now you need to make sure your baby gets home safe. The law requires that you use an infant car seat when transporting your baby home from the hospital. However, the federal government’s standard for car seat safety has no minimum weight limit nor does it account for the special needs of a premature baby. 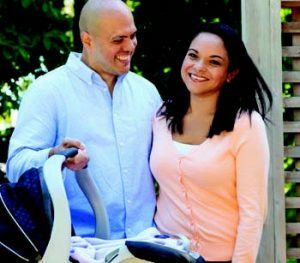 Learn about how to keep your baby safe while riding in his car seat before your baby is discharged from the hospital. Here are few tips that may be of help. The car seat needs to have a three point harness system. Convertible car seats with a five-point harness system are also good. Don’t pick a car seat with a shield, abdominal pad or armrest. Your baby might have trouble breathing behind the shield or may hurt his face and neck in a sudden stop or crash. Premature babies have weaker breathing airways, be extra cautious with this. A car seat with the shortest distance between the crotch strap and the seat back is best. Ideally, pick one with a crotch-to-seat back distance of 5 1/2 inches. This helps prevent your baby from slipping forward feet first under the harness. You can also place a rolled diaper or blanket between the crotch strap and your infant to prevent slipping. Car seats with multiple harness-strap slots are also good. They offer more choices than other seats and are better for small but growing infants. It’s best to pick a car seat with harness straps that can be placed at or below your infant’s shoulders. Place your baby rear-facing. Keep your baby rear-facing until she reaches the highest weight and height allowed by its manufacturer. Place your baby’s buttocks and back flat against the seat back. The harness should be snug, with the car seat’s retainer clip halfway between your baby’s neck and stomach. The clip should not be on his belly or in front of his neck. Use only the head-support system that comes with your car safety seat. Avoid any head supports that are sold separately. If your baby is very small and needs more support for her head and body, then place blanket rolls on both sides of your baby. Recline a rear-facing car seat at about 45 degrees or as directed by the instructions that came with the seat. If your baby’s head still falls forward, place a tightly rolled blanket or pool “noodle” under the car seat. Never place a rear-facing car seat in the front passenger seat of any vehicle. Remember, the back seat is the safest place for all children to travel while in a car. Whenever possible, have an adult seated in the rear seat near the baby in the car seat. If a second caregiver is not available, know that you may need to safely stop your car to assist your baby, especially if a monitor alarm has sounded. Never leave your baby unattended in a car seat, either inside or out of a car. Avoid leaving your baby in car seats for long periods of time to lessen the chance of breathing trouble. It’s best to use the car seat only for travel in your car. For more information visit Car Safety Seats tips for parents of preemies. Gestational diabetes: How to control your blood sugar?